Help Habitat rebuild the Middle Keys. Habitat for Humanity of the Middle Keys is currently in a CLOSED APPLICATION PERIOD for our Homeownership Program. We will give community notice when the dates are selected to open the next application cycle. will take place on May 10-11, 2019. 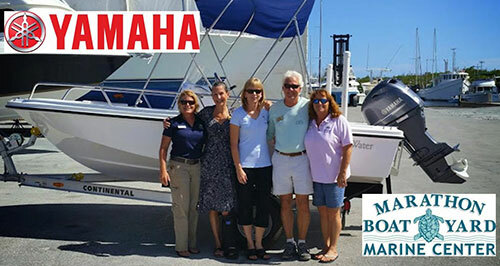 Join us and "Fish for a Cause"
The Marathon Boat Yard along with Yamaha, who were this year's tournament naming sponsor, were in attendance with the anglers, captains, mates, sponsors and volunteers at the Captain's Meeting hosted by Key Colony Inn. In total, 150 registered anglers set out to the water in 42 boats. Anglers from Marathon as well as Cudjoe Key to Homestead and as far away as Vegas, Georgia and the British Virgin Islands gathered to compete in this one day Dolphin shootout. Fishing commenced at 7:30 am on Saturday, May 12th and ended at 3:30pm. 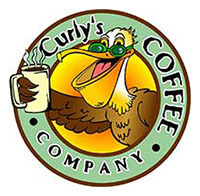 Anglers weighed their heaviest dolphin catch at Curly's Coffee and Marina in Marathon with large crowds gathering to enjoy the excitement. The Saturday night Awards Banquet turned into a wonderful party at Key Colony Inn with prize money and trophies for the winners as well as door prizes and a special video message from the famous actor, John C. Reilly to the attendees. In all it was a huge success, raising $45,000 for Habitat Middle Keys which will be used directly toward the building of new affordable homes which are purchased by hard working families in Marathon at a 0% interest loan. In addition, the donations captured during this tournament will be used for hurricane recovery repairs and critical home repairs to homeowners in the Middle Keys. 1st Place Lady Angler Bev Sebree 24.0 lb. 2nd Place Lady Angler Jill Paglia 23.6 lb. 3rd Place Lady Angler Lisa Klimczak 12.4 lb. 1st Place Junior Angler RJ Lewis 5.2 lb. 1st Weekend Warrior Bob Taylor 50.0 lb. 2nd Weekend Warrior Warren Pettegrow 28.0 lb. 3rd Weekend Warrior Doug Richards 24.6 lb. 2nd Place Pro Anthony Paglia 18.6 lb. 3rd Place Pro Shawn Creviston 9.6 lb. Thank you to everyone who made this such an amazing and wonderful event. The Marathon Boat Yard along with Yamaha, who were this year’s tournament naming sponsor, were in attendance with the anglers, captains, mates, sponsors and volunteers at the Captain’s Meeting hosted by Key Colony Inn. In total, 100 registered anglers set out to the water in 32 boats. Anglers from Marathon as well as Cudjoe Key to Homestead and as far away as Texas, Georgia and New York gathered to compete in this one day Dolphin shootout. Fishing commenced at 7:30 am on Saturday, May 13th and ended at 3:30pm. Anglers weighed their heaviest dolphin catch at Curly’s Coffee and Marina in Marathon with large crowds gathering to enjoy the excitement. The Saturday night Awards Banquet turned into a veritable party at Key Colony Inn with prize money and trophies for the winners; wonderful door prizes and auction items to attendees. In all it was a huge success, raising $55,000 for Habitat Middle Keys which will be used directly toward the build of 4 new affordable homes which are expected to be complete by June this year. These homes will be purchased by hard working families in Marathon at a 0% interest loan. This year we hosted our first ever Lady Angler Category which was a huge hit!!! 1st Place Lady Angler Darcie Arahill 21.6 lb. 2nd Place Lady Angler Nancy Owens 16.4 lb. 3rd Place Lady Angler Chrisy Meyer 15.8 lb. 1st Place Junior Angler J.C. Carlson 14.6 lb. 1st Weekend Warrior Bruce Boring 36.6 lb. 2nd Weekend Warrior Larry Mills 25.4 lb. 3rd Wkend Warrior Steve Gorcheck 22.8 lb. 2nd Place Pro Kevin McKeon 18.8 lb. 3rd Place Pro Thomas Torez 17.2 lb. See below for previous tournament pictures and winners. 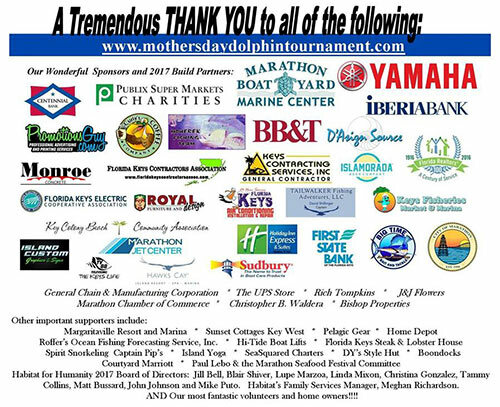 Angler Tournament with FOUR Categories: Pro, Weekend Warrior, Ladies & JR.
On behalf of Habitat for Humanity of the Middle Keys board of directors, volunteers and, most importantly, our future homeowners, I extend a heartfelt thank you to the wonderful island of Marathon whose support made our 10th Annual Mother's Day Dolphin Tournament a huge success. Our goal is five new affordable homes this year, and with your support we made $48,000 at this event that will be put directly into these five homes. 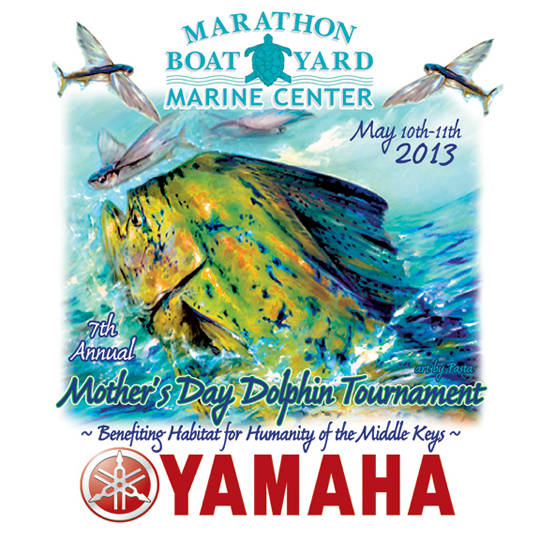 Thank you to our main sponsors, Marathon Boat Yard Marine Center with Yamaha. In addition, thank you to the following for your sponsorship of this event: Centennial Bank, Iberiabank, BB&T Bank, Fed Ex operated by ERGI Inc., Tilden's Scuba Center, Keys Contracting Services, Florida Keys Contractor's Association, Faro Blanco/Hyatt Resort, Curly's Coffee and Docks, Hawk's Cay Resort, Royal Furniture, Florida Keys Electric Cooperative, D'Asign Source, Florida Keys Aquarium Encounters, MLKAR, Key Colony Beach Community Association, Big Time Bait & Tackle, Fishmonster Magazine, Marathon Chamber of Commerce, UPS Store, Jeff Coldren, Island Custom Graphics & Sign, Key Colony Inn Restaurant, city of Marathon, Bishop Properties and Christopher B. Waldera. We must also thank the 140 anglers who donated to "Fish for a Cause." 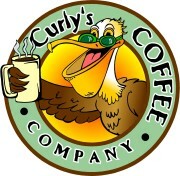 This island of ours is the best with companies like the above. We will work together to continue to create affordable home ownership for the hard-working families in Marathon. 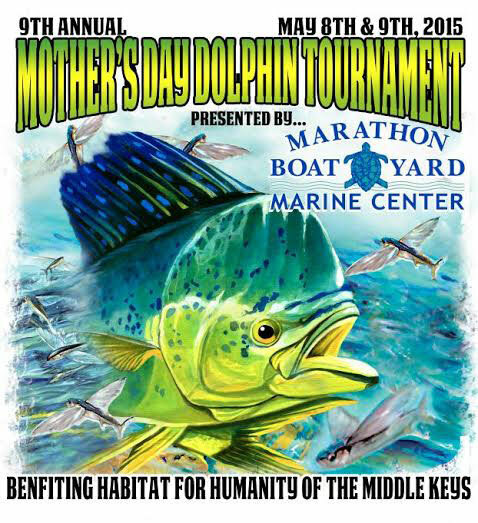 9th Annual Mother's Day Tournament to benefit Habitat Middle Keys was a huge success!!! 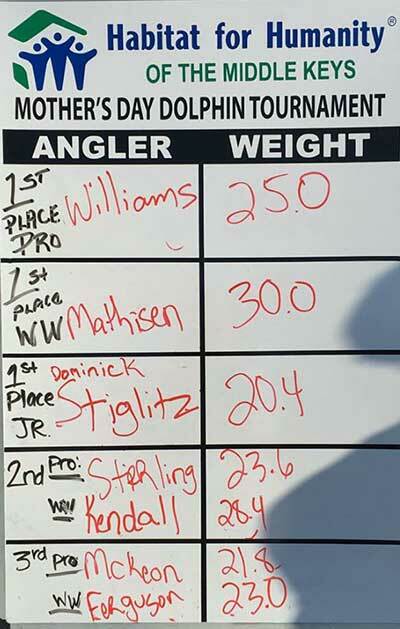 144 anglers on 42 boats put lines in at 7:30 a.m. this past Saturday to win 1st place for the heaviest dolphin. 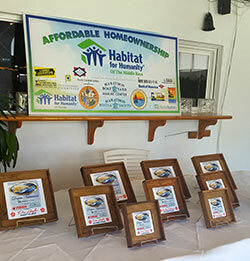 The result of the community angler support and sponsors yielded a total of $62,000 for Habitat - who uses all the donation revenue to help build homes in Marathon for hard working families who purchase the homes at cost with a 0% mortgage. The real winner from this tournament is our community. Alex Moherek, 1st Place Jr with 16.8 lbs. Cory Hoops, 2nd Place Pro with 29.2 lbs. Peter Smith, 2nd Place Weekend Warrior with 25.4 lbs. Charles Garcia, 3rd Place Pro with 21.0 lbs. Steven Florio, 3 Place Weekend Warrior with 23.6 lbs. The highlight at the end of the evening on Saturday was the long awaited new boat raffle. Marathon local Katrina Wiatt, a College Success Coach at Marathon High School, was the lucky winner. THANK YOU TO ALL OUR ANGLERS, CAPTAINS, VOLUNTEERS AND SPONSORS. Marathon Boat Yard Marine Center with Yamaha as our tournament presenters along with Edgewater Boats, Holiday Inn Marathon, Fed Ex operated by ERGI, BB & T Bank, Cabana Breezes, Lower Keys Tackle, Marathon Lower Keys Association of Realtors, Keys Contracting Services, Florida Keys Contractors Association, Royal Furniture, KCB Fishing & Boating Club, D'Asign Source, Curly's Coffee, Keys Federal Credit Union, Marathon Jet Center, Fishmonster, Sudbury Boat Care Products, Big Time Bait & Tackle, Marathon Chamber of Commerce, The UPS Store, Hi-Tide Boat Lifts, Hawks Cay, Island Tees, Karin Trujillio, Palegic Gear, Put Your Name on Anything, C-Stik Rods, Marathon Bait & Tackle, Specialty Hardware, Latitudes Key West, HairMasters - Rachel Neller, Marathon Lobster House and so many more who made this event so very special. 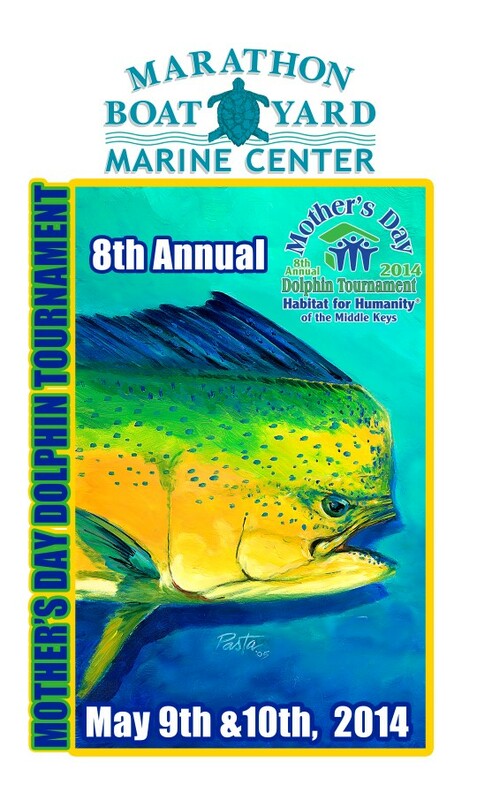 The 8th Annual Mothers Day Dolphin Tournament presented by Marathon Boat Yard with Yamaha and Edgewater Boats to benefit Habitat for Humanity of the Middle Keys came to a close on May 10th at 9pm. This one day fishing tournament was an incredible event and a great time for all. The weekend event was hosted by Tarpon Creek Bar & Grill in Marathon. Anglers arrived from Key West to Orlando to BRAVE THE WEATHER. 100 anglers registered to “fish for a cause” and weathered the 8-12 foot waves and 16 knot winds. The anglers enjoyed great food, great company and great raffle prizes throughout the weekend.. The most notable raffle –courtesy of Marathon Boat Yard, Yamaha and Edgewater Boats -- was the 2nd year raffle of a Brand New 2014 Edgewater 158CS Boat with Yamaha F70 Motor and EZ Loader “swing tongue” Trailer. With Only 300 tickets being sold the anticipation was building for the drawing Saturday night. Saturday was a crazy day on the water for the 28 boats that embarked on the water to find “that” winning bull or cow. This year we had 3 categories, pro weekend warrior and jr. all dreaming of that 1st place win with the heaviest dolphin. Crowds gathered as the weigh in began at the Tarpon Creek Marina – another of our wonderful sponsors. Many fish came in, the leader board kept changing... At 6pm the winners were determined. The weekend began wrapping up as everyone converged to the after party for great food and wonderful people. Everyone enjoyed an evening of fun festivities as the presentation of awards began. FINALE Boat Raffle ----- Keys Local Bill Kinsey. Thanks to all the anglers, our sponsors, and volunteers who made this such wonderful year!!!! The weekend resulted in raising $67,000 for Habitat for Humanity of the Middle Keys. Mark your calendar for Mothers day weekend 2015 so you can join us next year and “fish for a cause”. Habitat for Humanity of the Middle Keys is proud to announce that this was a RECORD BREAKING YEAR!!!! The Marathon Boat Yard along with Yamaha, who were this year's tournament naming sponsor, were in attendance with the anglers, captains, mates, sponsors and volunteers at the Captain's Meeting hosted by Salty's Waterfront Grill @ 7 Mile Marina to witness to this monumental year!! In total, 156 registered anglers set out to the water in 53 boats. Anglers from Marathon as well as Summerland to Homestead and as far away as Michigan, gathered to compete in this one day Dolphin shootout. Fishing commenced at 7:30 am on Saturday, May 11th and ended at 3:30pm. Anglers weighed their heaviest dolphin catch at The 7 Mile Marina in Marathon with large crowds gathering to enjoy the excitement. Bruce's mother draw the winning ticket. 1st ~ Ryan Smith 52.6 lbs. 2nd ~ Michael Behrle 41 lbs. 3rd ~ Marc Anderson 33.8 lbs. 1st ~ Alana Lee Hill 35.4 lbs. 2nd ~ Chris Larkin 35 lbs. 3rd ~ Jerry Kaczmarek 28.6 lbs. Jr. Angler Winner: Randy Culmer (Marathon) 24.2 lbs. 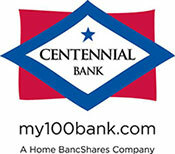 Money Raised ~ A RECORD Breaking $70,000 was raised at this wonderful event. This money will go directly to the two homes currently being built in Marathon. 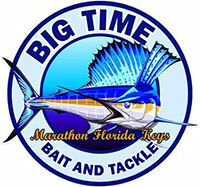 **Though most anglers were from Marathon, Florida there were groups of angler registrations (full boat entries) from the following areas from the Keys: Key West (2), Summerland Key (2), Big Pine Key (3), Cudjoe Key (3), Layton Key, and Islamorada. Boats with anglers also registered from: Virginia, California, Ohio, Michigan, Sarasota FL, Homestead FL, Naples FL, Rhode Island and Okeechobee FL. The California Wine Club, this year’s tournament naming sponsor, was in attendance with many others as major sponsor Salty’s Waterfront Grill @ 7 Mile Marina hosted the incredible Captain’s Meeting on Friday, May 11th to kick off the 6th Annual Habitat for Humanity Mother’s Day Dolphin Tournament. In total, 136 registered participants (115 anglers and 21 captains) set out to the water in 42 boats. 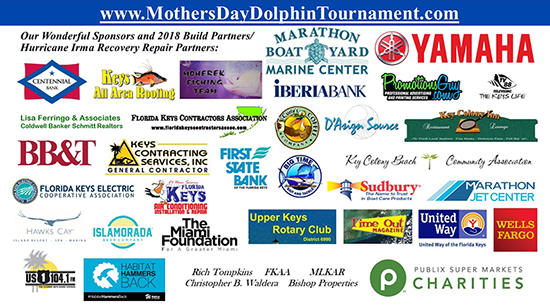 Anglers from Marathon as well as Big Pine, Islamorada, Key West and as far away as Toms River, NJ gathered to compete in this one day Dolphin shootout, raising $37,467 for Habitat for Humanity of the Middle Keys. Fishing commenced at 7:30 am on Saturday, May 12th and ended at 3:30pm. 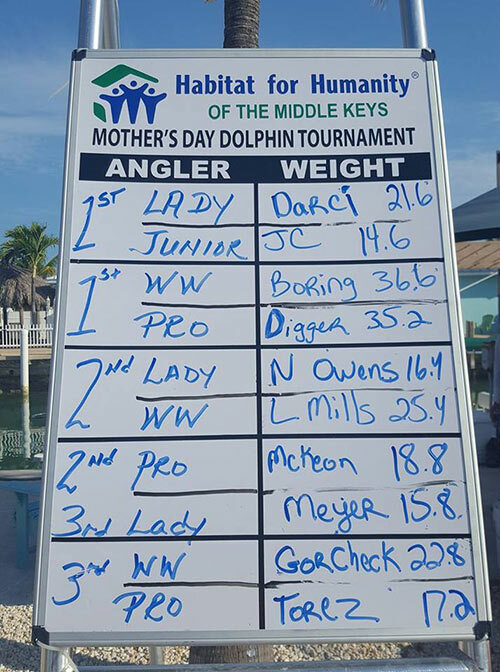 Anglers weighed their heaviest dolphin catch at The 7 Mile Marina in Marathon. At the close of scales at 5:30 pm a crowd had gathered to see if one last fish might disrupt the leader board. The Awards Banquet, emceed by Captain Marlin Scott, turned into a veritable party at Castaway Restaurant and Sushi Bar on Saturday night with prize money and trophies awarded for the 5 largest dolphin by weight. Team Silent Hunter took 1st, 3rd, and 5th Place. All three young men were born, raised and living in Marathon their entire lives: Ely Hernandez, BJ Meyer and Cody Darbie took home a check for $5000 with 29.6 lbs, $2000 with 28.2 lbs., $1000 with 21.4 lbs. respectively. Shane Curry aboard Team Reel Conch out of Key West took 2nd place for $4000 with 29.4 lbs. Kim Wiltsie of Naples, FL took 4th Place for $1500 with 22.6 lbs.